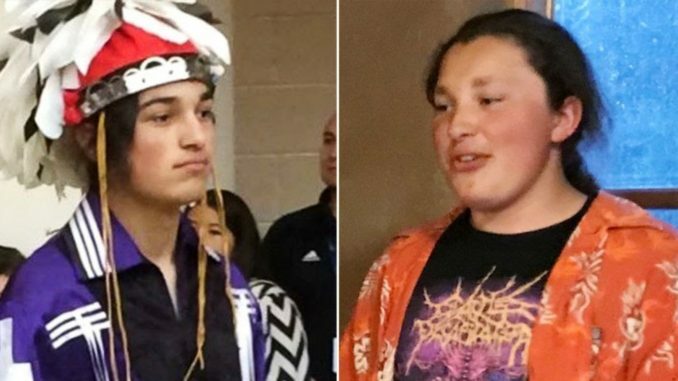 Two Native American teens were pulled from a college tour because seeing the two Native American teens join the tour made a parent “nervous”. I wonder what color she was? Lorraine Kahneratokwas Gray said her sons, 19 year old Thomas Kanewakeron Gray and 17 year old Lloyd Skanahwati Gray saved their money to take the family’s only car on the seven hour drive from San Juan Pueblo, New Mexico to Fort Collins, Colorado to Colorado State University, says reports. When they arrived, the tour had already begun and they joined the group. “A parent participating in the tour called campus police because she was nervous about the presence of two young men who joined the tour while it was in progress,” the school said, as reported by CNN. The officers pulled the two brothers from the group, while the tour continued. By the time officers confirmed the teens were prospective students, the tour had ended. Colorado is said to he the traditional homeland of many tribal nations. “They’re walking on their own ancestors’ land, so it breaks my heart”, said their mother. “It breaks my heart, because they didn’t do anything to warrant that,” Gray told the affiliate.